My preference for nonfiction in the audio format comes through loud and clear in this portion of my 2014 favorites list. Although I also consume nonfiction in print, all of my favorites this year happened to be audiobooks or print/audio combinations. Here are my nonfiction favorites of 2014 listed in the order I read/listened to them. Note that these books were not necessarily published in 2014.
Who knew a book about crew could be so exciting? Emma - Nonfiction and audio go perfectly together for me... hope you get a chance to listen to one or two of these. 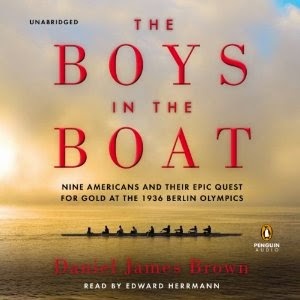 I could go on for days about The Boys in the Boat - it made my overall Best of list last year and I think it's probably the best nonfiction I've read in the past few years (including 2014). 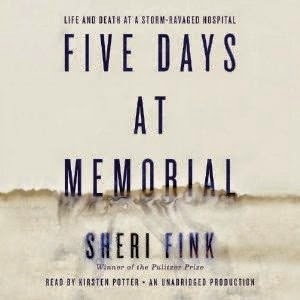 I also have 5 Days at Memorial on my list. Sarah - Funny thing about Boys in the Boat is that I would never have picked it up if my book group hadn't chosen it. Another reason I love book clubs! It looks like you had a great year in Non-Fiction. Thanks for sharing your list JoAnn. The only one I read is The End of Your Life Book Club. I loved it. It was so sad though. Pat - That was sad, but not depressing like I expected... a great book! I listened to The Boys in the Boat last year and loved it too. Kathy - That's one book that should be made into a movie! LOL! I have listened to every one of these! You and I must be operating on the same wavelength. 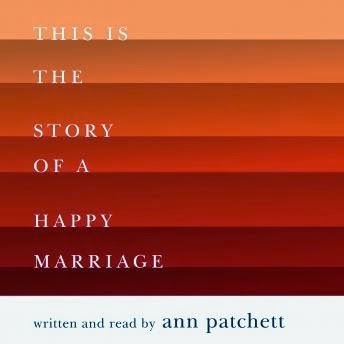 Ann Patchett's essays were just simply incredible. I may need to buy that one so I can reread. 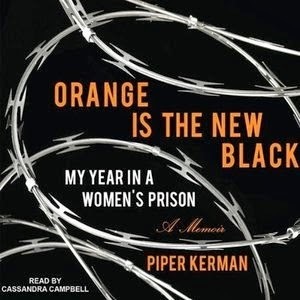 Haven't read Boys in a Boat or Orange is the New Black, but loved the other 3 on your list. Diane - They're both great listens! I would love to read the Ann Patchett book. I have loved the two books I have read by her and would love to check this out. Plus, I have heard so much good stuff about it. Glad to see it on your list. This is the story of a Happy Marriage is one of my favorites of the year too! Melissa - I still want to get a print copy and reread! I'd absolutely agree with you on the two of these that I've read. And need to add the other three to this year's reading. Lisa - These are all great listens! I love audio nonfiction so I'll have to look for these! The Ann Patchett especially appeals to me. Katherine - Patchett's book is my favorite of the bunch. I want to get a print copy to reread. 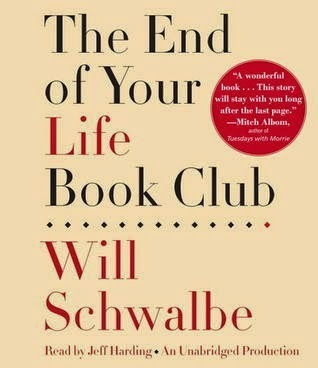 You have some of my favorites here- This Is The Story of a Happy Marriage, Five Days at Memorial, The End of Your Life Book Club. Now I just have to read Orange Is the New Black and Boys In The Boat. Re: Boys In the Boat...indeed, who knew? I couldn't put it down! Surprised the heck out of me that it was that enthralling. Jill - Boys in the Boat was my biggest surprise of 2014...' never expected it to be THAT good!! Excellent recommendations! I just gave my husband Five Days at the Memorial. I tried to read the print version of Patchett's book, but couldn't get interested. Definitely going to try the audio! I've got Boys in the Boat in print, too. Hope it lives up to all the hype.